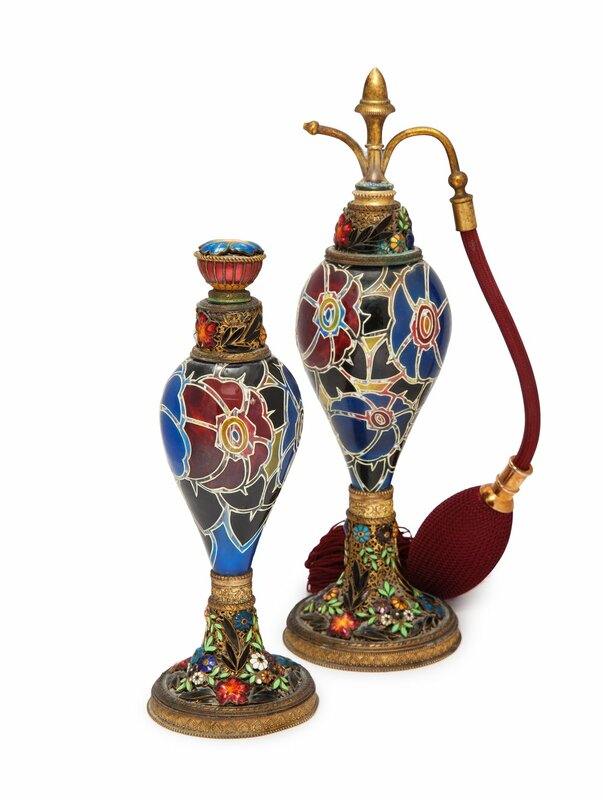 The 9th annual Perfume Bottles Auction, on Friday, May 29, 2016, was received with great enthusiasm, reaching over $400,000 in sales from bidders in 35 countries. Director Ken Leach compiled a catalog of 249 divers bottles and vanity items priced for every level of collector, while celebrity auctioneer Nicholas Dawes inspired the crowd with his entertaining delivery. 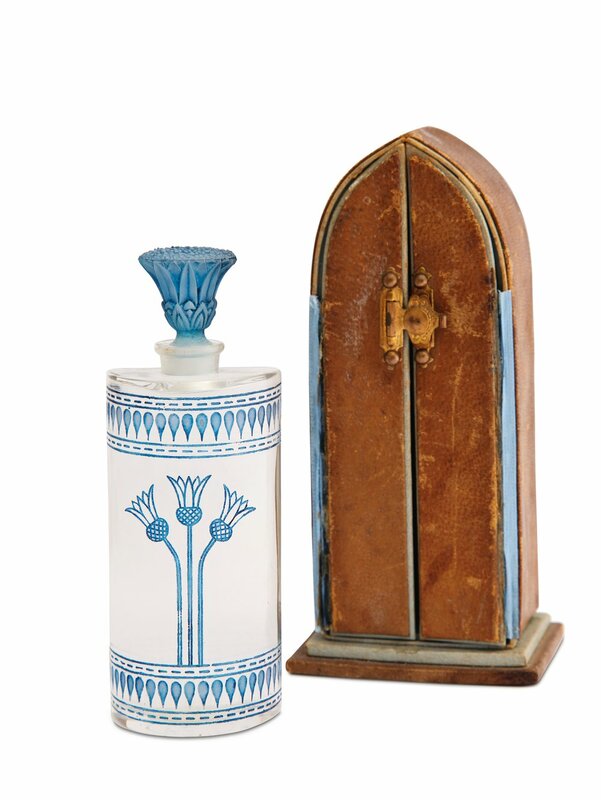 The session began strongly with a $13,600 result on the oldest item in the auction, a 1780s enameled gold scent bottle/patch box; followed by the cover piece, a c1900 Daum-Nancy enameled cameo glass bottle, sold for $9,600. With much interest, a vibrant hot red and gold 1927 DeVilbiss vanity grouping, packed in it's original overnight case, brought $12,000; followed by an icey frost crystal Czechoslovakian bottle, a 1936 design by Plewa for the Ingrid Co. used for "Encore" by De Folet, that sold for $7,200. 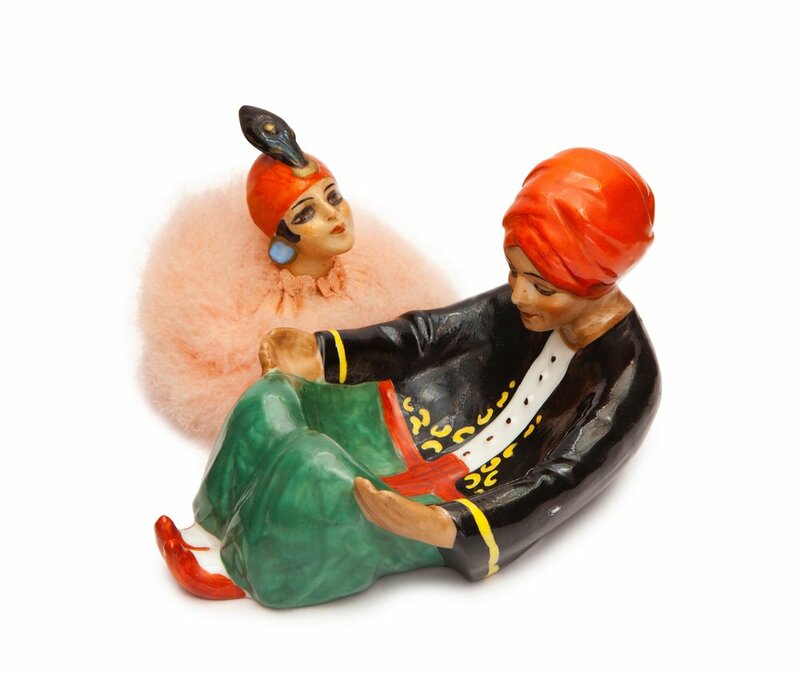 Notable sales among the many Rene Lalique items were the rare 1922 bottle for Claire, "Fleur d'Or," sold for $6,500, and the impressive 14 inch "Sirenes Avec Bouchon Figurine, created in the 1920s for Maison Lalique, sold for $12,000. The commercial bottle section offered great variety, starting with an adorable bottle modeled as an elephant with a fgural monkey stopper, for Carlova's "Jasmin," which surely set a record for a 1920s German blown glass novelty, sold at $6,600. 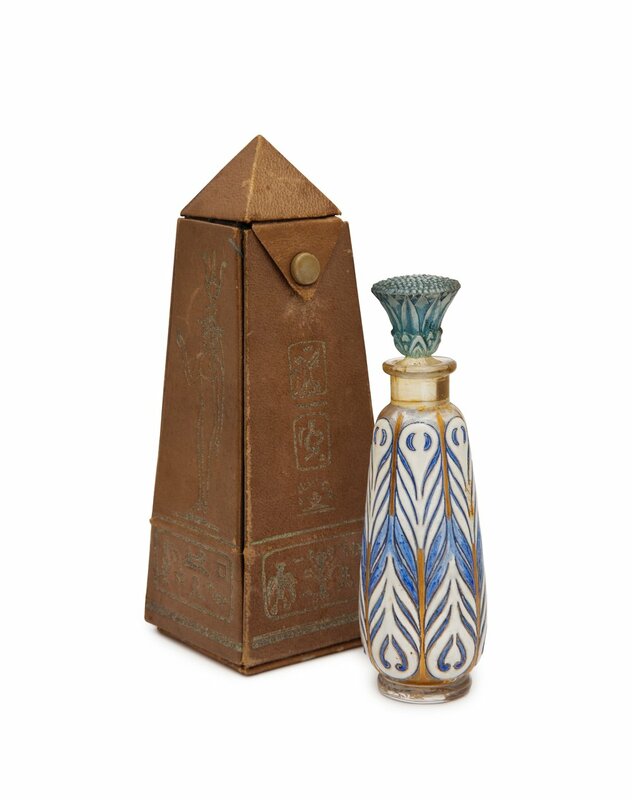 A highlight was the 1922 enameled Baccarat bottle for Edouardo's "Egyptian Alabastron," in its leather obelisk box, sold for $18,000. 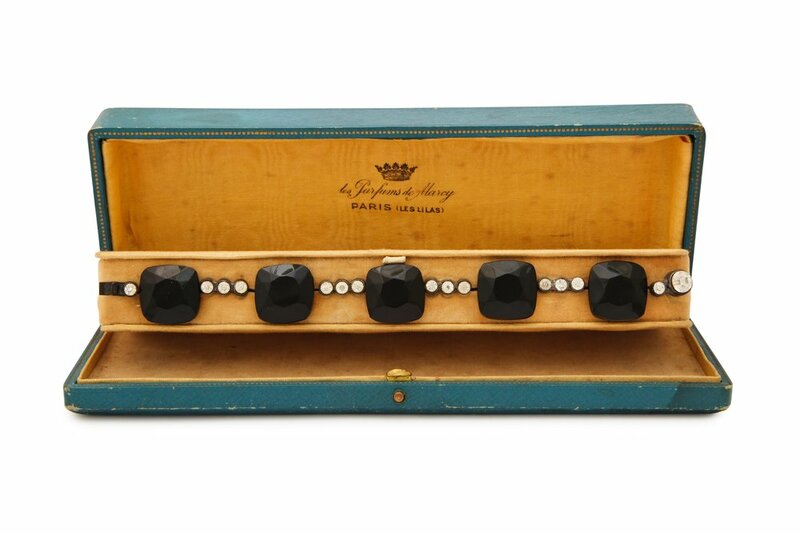 Other noteworthy sales include the Art Nouveau style bottle for Millot's "Kantrix," designed by Hector Guimard for the 1900 Exposition Universelle, Paris sold for $17,600, and the extremely rare 1928 Parfums de Marcy, trompe l'oeil presentation "Le Bracelet Miraculeux," of five scents disguised as an art deco bracelet, sold for $33,000.